← Letters to a Sister : 48 – Dinner Dance Disaster…. Clara call duck was cross. It was a very cold February and lumps of ice had formed on the pond. Annie knew that soon the whole pond would freeze over. This was very dangerous because Mr Fox could then walk across the water. He was hungry and would like duck for dinner. Annie wanted the ducks to be safe, so she had put them all into a large cage. The cage was very big. It was tall, so the call ducks could fly if they wanted to. 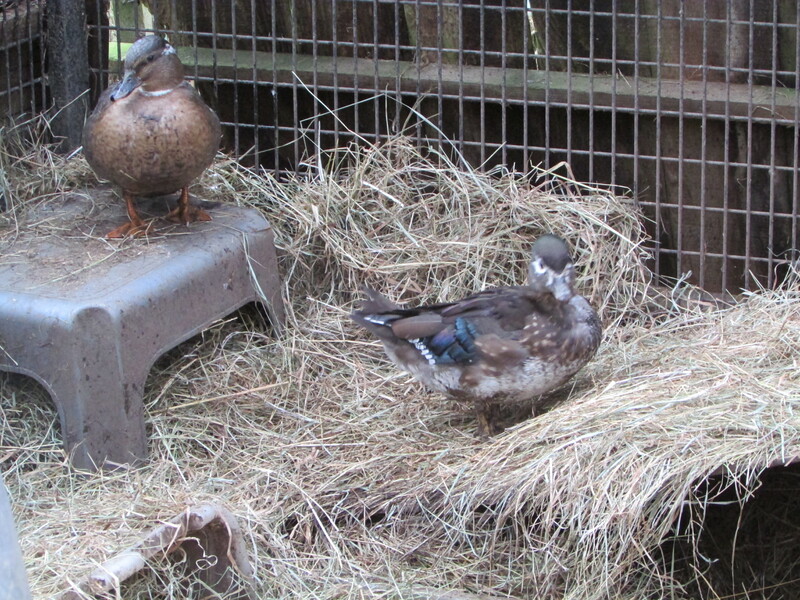 It had fresh hay, so the big fat white Aylesbury ducks could sit and chat. There was food and big bowls of water. Most importantly, it was safe. There was strong metal fencing around the sides, across the roof and even under the mud and hay on the floor. However, there was nowhere quiet and private and Clara wanted to build a nest. On the first day, she laid an egg in the corner. But Annie collected it when she brought fresh water. On the second day she laid an egg in a box of hay, but Edna, the East India duck laid her egg there too and then made a mess! On the the third day she laid an egg at the top of the ramp. But Amy the Aylesbury duck knocked it, and it rolled all the way down and cracked on the hard mud. On the fourth day, Clara found a tiny gap between the mounds of hay and a stool. There was just room to crawl underneath. Under the stool there was room to pull bits of hay to make a nest. Clara laid her egg, then crawled out to play with the other ducks. The East India ducks were too busy splashing water to notice the gap under the stool. The white Aylesbury ducks were much too fat to fit under the stool. When Annie brought food and water she was too busy to notice the gap under the stool. The boy ducks were too busy chasing everyone to notice the gap under the stool. Every day, Clara crawled under the stool and laid one more egg. The clutch of eggs became more and more. When there were fifteen eggs, Clara didn’t lay any more. She sat on the nest and plucked lots of soft feathers from her tummy and made the nest soft and cosy.Then she spread her wings across all the eggs and rested. When Annie came with fresh water, she noticed that Clara was missing. She looked in all the boxes and under all the ramps, but she couldn’t find her anywhere. She worried that somehow Clara had escaped. After four weeks, the eggs began to hatch. 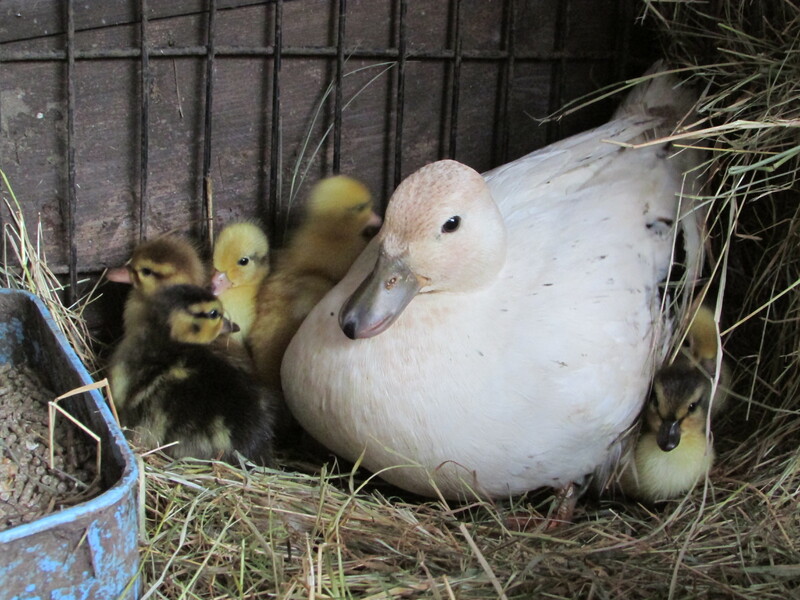 It is very difficult to climb out of an egg but ten ducklings managed to hatch. 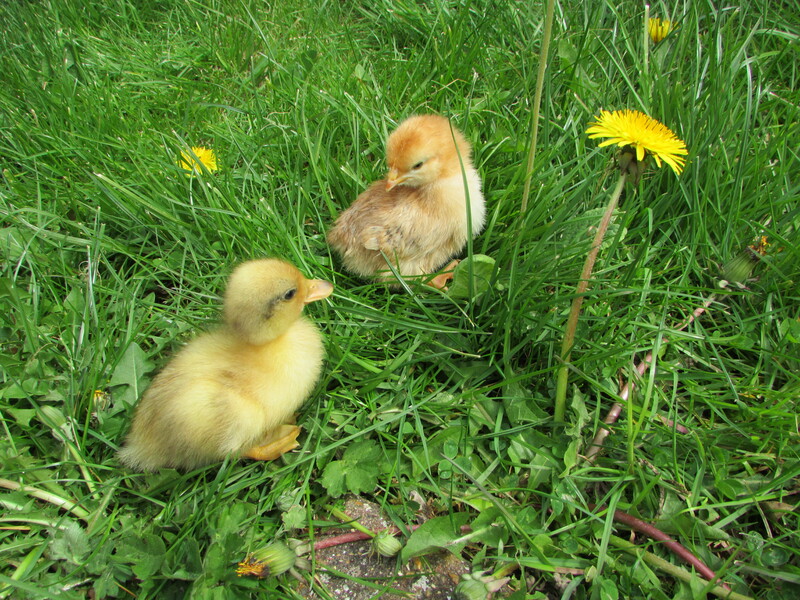 When Annie came with the food, she was very surprised to see lots of ducklings! She quickly collected them all and put them in a large container with Clara, so they would be safe. She didn’t want an Aylesbury duck to sit on one and squash it! Sometimes I have problems. Please help me to think of what to do. If you enjoyed this, why not sign up to follow my blog? Anne E. Thompson has always had stories in her head. When she was little, she told stories to her dolls. 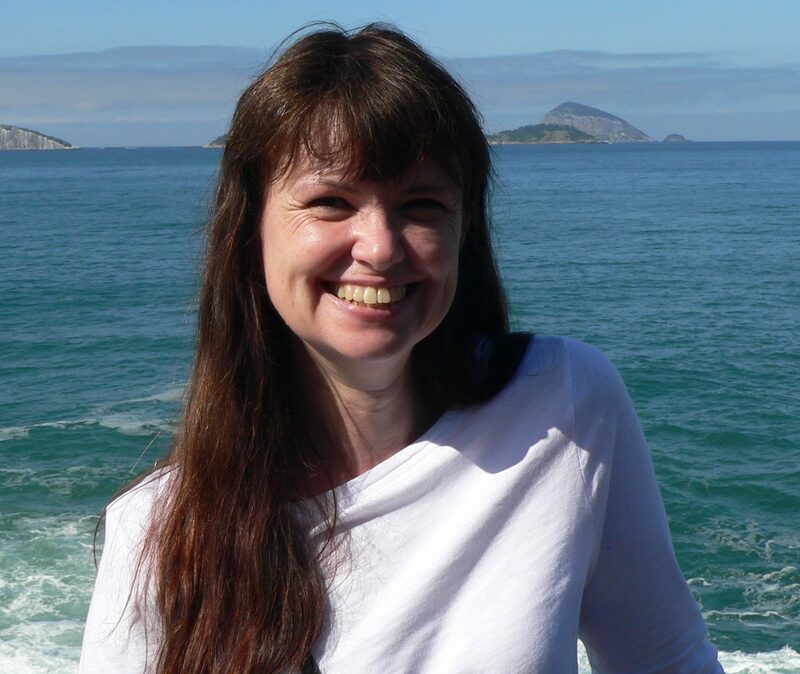 When she was older, she told stories to her pupils, then stories to her children. Now she writes them down, and tells stories to strangers.